The most important part of this effort is to reconnect with friends in the great class of 1966. As Baby Boomers, think about what we’ve experienced, from learning cursive with cartridge pens to posting Instagram images with our smart phones; from learning about JFK’s assassination during the school day to watching the Twin Towers fall on 9/11; and for many of us, going from worrying about prom dates to welcoming grandchildren into our lives. It’s an amazing time to be living! Let’s celebrate and share. Your contact information will be hidden, and secure. This website is maintained by our committee, not an outside commercial outfit. 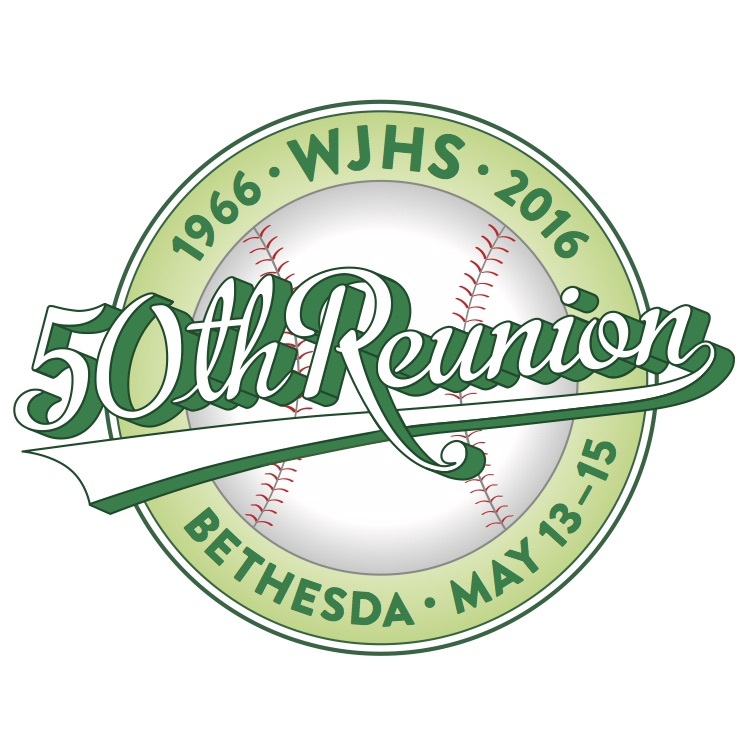 It will only be used with your permission for the 50th Reunion Book we will put together for attendees of the 50th Reunion.Those who are unable to attend the Reunion in the spring of 2016 will be able to order the Reunion Book. Please post your bio and comments. Confirm your name, add your memories, observations, and reflections. Upload a recent picture. With your permission, these will be included in the 50th reunion memory book. 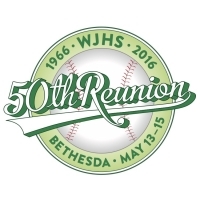 THINK BACK and share your thoughts about last 50 years: high school, friends, the '60s, family, growing up in Bethesda. Have fun with this! Also, take a look at the “High School Life” section. We’d love to use those in our class book as well. It’s easy to upload and caption them. Please note: the reunion committee reserves the option to edit or revise entries for spelling, grammar, and length. While at WJ I was busy creating an art portfolio and taking outside classes in painting. I was accepted to the U of Michigan’s Art Department and graduated in 1970 with a BFA in Studio Painting and a minor in Art Ed. I got my tenure teaching art in DC and was living in Georgetown (it was nicer then) where I met my first husband, a Wharton grad and the father of my two boys Alex and Chris. We moved to NYC to begin our life together and I taught art at the Chapin School. We were transferred, thru Citicorp, to Pacific Palisades (Los Angeles), CA. I remained on the West Coast after our divorce in 1989 and just recently remarried; a wonderful guy, art lover and lawyer, Tom Rohlf. My boys, who are now in their late 30s are living close by and both doing very well. We chat every day and one day soon I hope to be a grandma! My true passion though, has always been about art. I have always had a large studio and shown my work. I was a docent trainer at the Wight Gallery, a UCLA Art Council Board member and 3 years ago retired from a 20-year stint of teaching drawing, painting, and mixed media at the Harvard Westlake School. I am presently a member of many art organizations. I love being around creative people. It also is a terrific venue for showing my work. My summers are always spent at the family cottage, The Abbey, near Traverse City, MI. I am a cat lover and this year we struggled to take our 16 lb. cat Stevie with us! The 50th reunion was overwhelmingly Wonderful.. It just went too fast and I did not not have nearly enough time to connect with everyone that I would have liked. A BIG thanks to the committee! Happy trails to ALL until the next reunion.. 55 th maybe? Graduated University of Maryland, and married in 1971. Moved to Howard County MD in 1973. Got into the Real Estate business doing sales, management, development, home building, investments and property management etc.. And I'm still here 46 years later. Currently I am in the process of "winding down" my businesses. My first marriage ended in 1988 having produced 2 great kids, Hunter and Lauren. Both college grads, happily married with children, gainfully employed and neither live with me ! I enjoyed the single life for 20 years and remarried in 2008 to Kathy who is a successful Realtor and has a wonderful adult daughter Bianca . My job is to basically carry the heavy packages and stay out of Kathy's way . The good news is she loves me in spite of my faults..so lucky me. I spend a lot of time with my hobbies. Gardening..Flowers and vegatables.. Ravens Football.. Hunting on the Eastern shore.. Lots of travel.. Naples or Scottsdale in February ..Rehoboth in the Fall..Europe in the summer and anything else that that I can think of that is fun.. Right now, I spend as much time as possible with the grandkids (3 boys and 2 girls) all under the age of 5. Yup..they call me PopPop and I love to spoil them. So life is good!